A Scottish government financial memorandum setting out the projected costs and savings associated with the proposed planning reforms suggests developers could be up to £1.2 billion worse off over the same period. Communities also face additional costs of up to £12 million, according to the document. The Planning (Scotland) Bill has been subject to a series of changes during its passage through the Scottish Parliament, including members of the local government committee making more than 200 amendments. Planning minister Kevin Stewart said the government is considering how to amend the bill to reduce its financial burden. “Our aim in bringing forward this bill was to streamline planning and create savings that could be redirected towards working with communities and developers to achieve real and positive change for our places,” he said. “Throughout the stage two process, I made it clear that it wasn’t simply amendments being added to the bill, it was added costs, added bureaucracy. The financial memorandum paints a stark picture. “As things currently stand, we risk losing the savings that could have been achieved through streamlining, and creating millions of pounds of new costs for planning authorities. Analysis published by the RTPI in December last year found the proposed reforms would add 63 new and unfunded duties on local planning authorities. 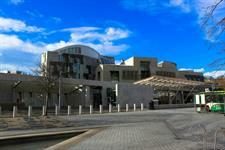 The institute described the Scottish Government’s latest financial assessment as “eye-watering”. The RTPI added that the “huge” added costs come at a time of severe cuts for Scottish planning services, who have experienced a 25 per cent decrease in planning staff and a 40 per cent cut in budgets since 2009. The bill’s reforms are based on recommendations made by an independent panel established by the Scottish Government in 2015 to review Scotland’s planning system. The body issued its final report in May 2016. The panel warned earlier this month that a “swift intervention”was required to amend the resulting bill which came “dangerously close to creating a system that is more complex than before”.